When I was a kid, the first day of the school year was so exciting. Sure, there was nothing like the summer vacation, but the first day of school was all about expecting the unexpected. New teachers, new friends, old friends which might have changed — it was like a chance to start fresh all over again, even if objectively most of it remained the same. Soon after that, when the excitement faded away, it became mostly routine. Unless…, unless there was a teacher who knew how to keep us on the edge (in the best sense possible): to keep us in expectation mode — imagining what could happen next. Today, when two of my children are about to start another school year, my excitement is replaced with a wish. I wish more teachers would realize that using more tech in class does not make school more relevant. We are flooded with technology as it is. I wish more teachers would encourage kids to look each other in the eyes, to empathize, and to make a difference in each other’s lives. I wish schools would regain their role as a major force shaping our future. And today more than ever our future dependence on the ability of our children to see things differently, to think critically, and to know the truth is always, always more complicated than how some people are trying to make us believe it is. I hope the teachers of my children would be brave enough to let them wonder — to make room for them to ask questions, difficult questions which might not have simple ready-made answers. It is the people who question that drives the humankind forward. I wish schools would create a space for children to grow — not in straight lines like a carefully planted field, but more like a forest: wild, powerful and full of life. I hope more teachers would see the children they teach as real people, with needs, feelings, and original thoughts, and not just as passive receivers of knowledge. I wish schools would make it their mission to grow proactive people. 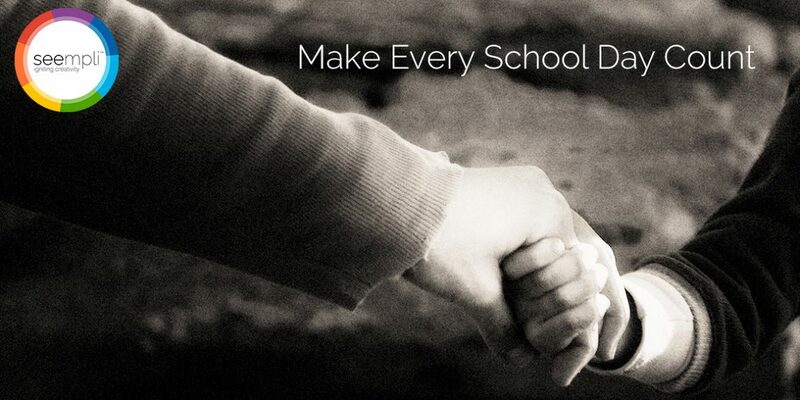 I wish that my kids will experience every school day as a special — a day that counts. It takes nothing fancy to do that. You just need to make them realize what an amazing mind they already have and how it can help them achieve just about anything. I wish they will learn only one thing: to imagine and to believe in their ability to turn their dreams into reality. Make every day count. For them. For us.